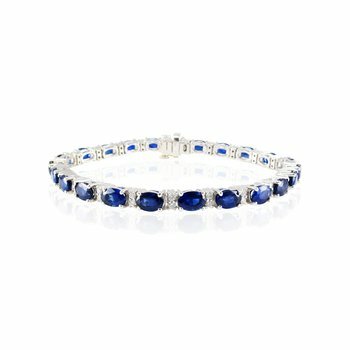 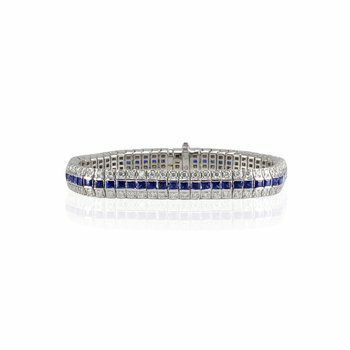 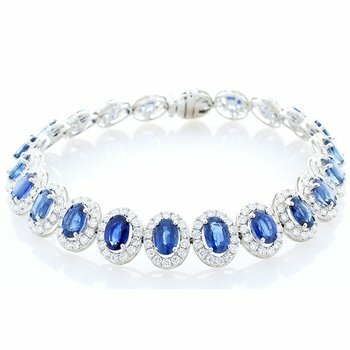 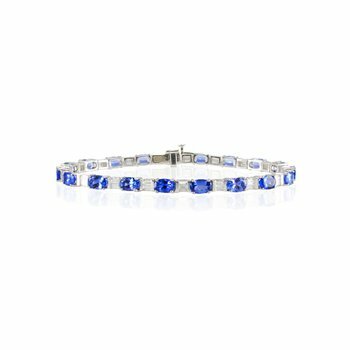 Designed in a slender silhouette, this bracelet features a display of Tanzanite and diamonds. 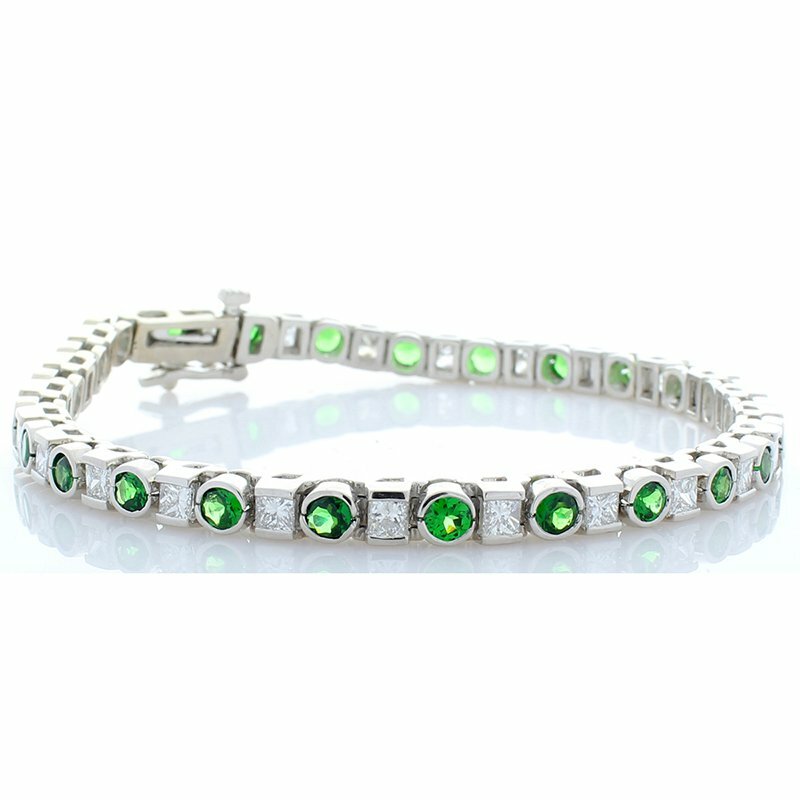 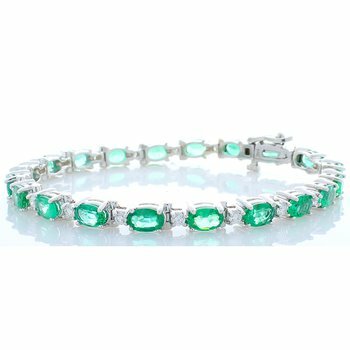 Weighing a fantastic combined 3.2-carats, these verdant stones boast a classic round-cut. 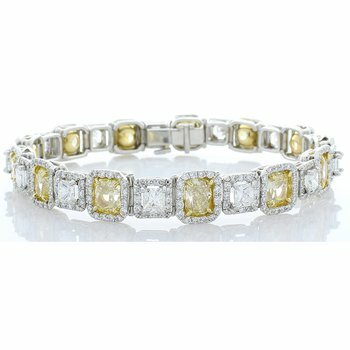 Alternating between them are 3.12-carats of princess-cut white diamonds. 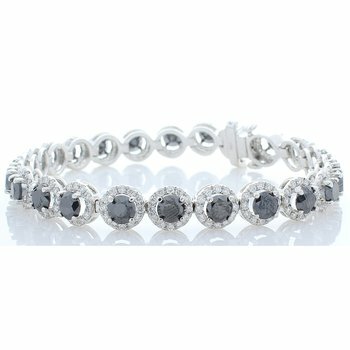 The 14-karat white gold setting gives a high-end look that can withstand years of wear. 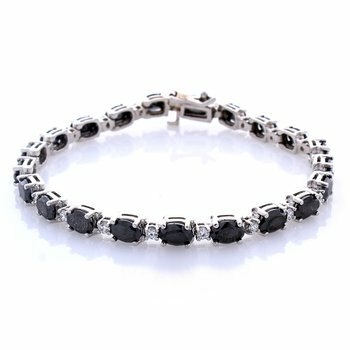 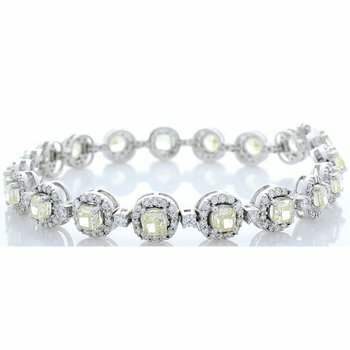 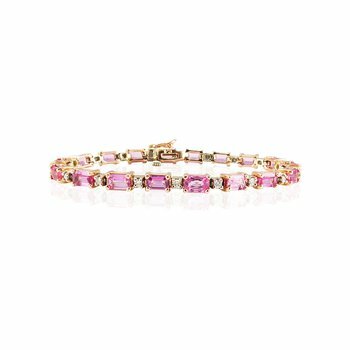 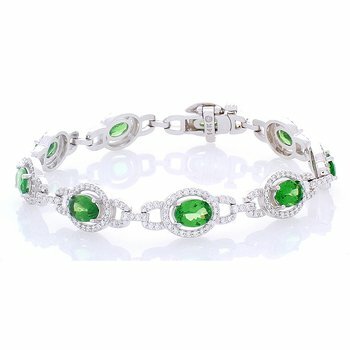 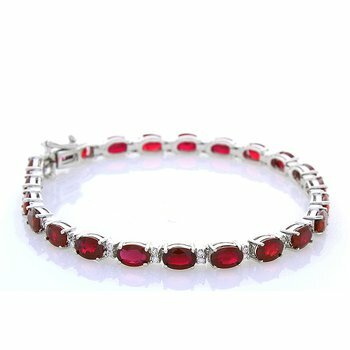 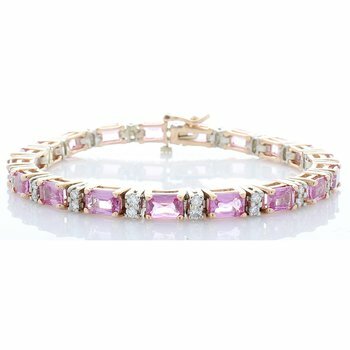 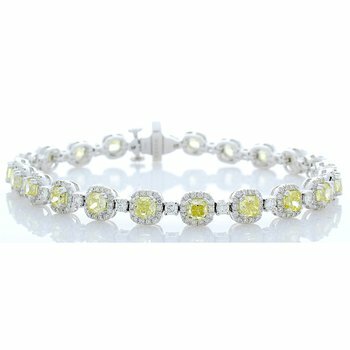 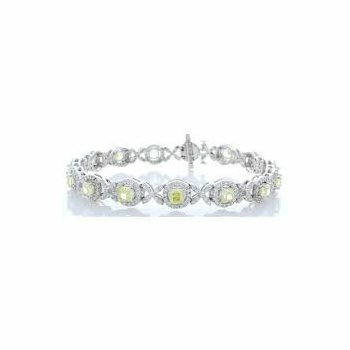 Worn alone or stacked with a timepiece, this bracelet complements any look with sophistication and grace.